Virtual Reality (VR) and Augmented Reality (AR) are no longer a figment of our imaginations - they've come to life! We’ve compiled 30 events dedicated to VR and AR to keep you up to date and involved with this innovative and revolutionary technology. Once only seen in movies or described in storybooks, technology has advanced to allow VR and AR to not only work, but to be reproduced at a commercial and consumer level. A new age has dawned where companies can now base their business models around these advanced technologies. To keep up with the times, both consumers and businesses need to stay appraised of the last best practices. In fact, when VR and AR technologies are incorporated in events, they serve to enhance attendee experience as well. Disclaimer: Events which have passed at the time of writing as well as unconfirmed events in 2020 are not included in this list. Description: Facebook’s annual conference dedicated to developers and entrepreneurs who build products and services around the platform. Why You Should Attend: Mark Zuckerberg has been vocal about making Augmented Reality the next big bet for the Facebook platform. Given the acquisition of Oculus, it is no surprise that there’s a large emphasis on both VR and AR technology at Facebook’s annual F8 conference. Judging from their event registration website, F8 Summit will be filled with delightful surprises that wow the attendees. At the time of writing, the tickets have been sold out but you can still tune in to the keynote and sessions on demand via stream to get the latest scoop on all the latest technological advancements. Description: Google’s annual developer festival brings together developers from around the globe for an immersive experience focused on exploring the next generation of tech. Why You Should Attend: Another tech giant that has shown interest in the evolution of VR and AR technology is Google. Aside from announcing new android releases or product updates, Google’s conference is also an avenue to explore all things new in tech for the year. Similar to other conferences, you can tune in to the keynotes through online streams if you haven’t been able to get the ticket from the Google raffle system. Why You Should Attend: Aside from looking forward to new product releases from Apple, this conference is also dedicated to advancements in technology including VR and AR technology. Since the release of their AR libraries, this conference is essential to anyone interested in AR technology ever since. Keeping in mind how the AR feature on the iPhone X was a big moment in WWDC 2017, we can’t wait to see what else is in store in 2019. If you’re unable to make the actual event, you can look for online streams to be updated on all the newest updates in technology. Description: Famous for its releases in all things gaming related for computers, consoles, handheld and more. Why You Should Attend: When it comes to video games for all sorts of platforms, this is the conference to attend. With many companies introducing VR and AR technology into the gaming industry, you can definitely be sure of new interactive games and functions at this year’s E3 expo in Los Angeles. Aside from the introduction of new technology, there will also be live esports tournaments, game demos and celebrities to keep this event exciting as well. Why You Should Attend: This event aims to bring together a mix of C-suite executives, designers, developers, creative agencies and futurists to learn, inspire and partner with each other for the development of all things AR and VR related. The event is returning to California for the 9th year and Europe for the 3rd. The event has also been held in China for the last 2 years but may not be hosting an event there in 2019. Why You Should Attend: Besides being an expo for companies to release their new products, there is also a focus day dedicated to B2B and B2C exhibitors to interact with their target audience. Be sure to check out the new games, interact with VR and AR experts as well as purchase the most advanced interactive technologies at this event. Why You Should Attend: Previously known as VRDC (Virtual Reality Developers Conference), the organizers have changed it to XRDC to fully encompass all forms of interactive and immersive technology for this year’s conference. With business and technology leaders from companies like Airbnb, Amazon, Song and Tencent, XRDC will feature two days of expert-led sessions and a Partners Lounge showcasing the latest technologies, tools and services across industries including entertainment, healthcare, education, industrial design and more. Why You Should Attend: Hosted by Waseda University, this symposium is being hosted for the 24th time in Tokyo, Japan. It brings together researchers and developers concerned with mixed reality software and technology to present on new research results, systems and techniques to everyone in attendance. Why You Should Attend: 2019 marks the third year for this annual event taking place in Europe for the enterprise-focused AR, MR and VR communities. It aims to develop a blueprint for enterprises who are thinking of utilizing AR/VR technology and to walk current users through the next stage of their application development with the goal of spearheading commercialization. For event marketers, this conference may spark ideas on how to combine AR/VR technology with their event brand. With an expected turnout of 2000+ attendees and more than half their attendees planning to acquire goods or services from at the event, you can be sure this conference/trade show will be worth attending. Why You Should Attend: Boasting an attendance of 15,000 attendees annually, the 45th SIGGRAPH conference is one event that has everything you need and want when it comes to anything related to computer graphics. Learn about the latest research, demo the newest technologies and be inspired by the best ideas from the brightest minds who attend this event every year. 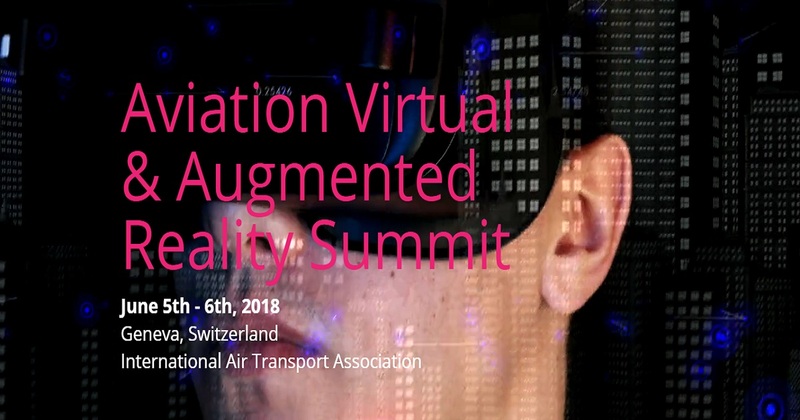 Why You Should Attend: VR is set to change every industry but aviation might be most impacted. This annual summit provides airlines, aviation partners, and hardware manufacturers the opportunity to dissect the latest trends. The summit spend a great deal of its programming on the challenges of tech adoption for their field. Why You Should Attend: At its inaugural launch in 2017, this mega conference had 21,000+ in attendance, of which 59+% held senior-level positions. With mobile phones getting a larger penetration in our world markets, this event will serve to cover everything related to the newest apps, software and hardware for this device, including the VR and AR component which was recently introduced to the smart phones. Why You Should Attend: Originating from its founding conference in Barcelona, MWC Shanghai is the largest mobile phone conference in Asia. With 600+ exhibitors, 60,000+ attendees and 59 hours of conference content, this event will serve to cover everything related to the newest apps, software and hardware similar to its American counterpart (MWC Americas) but with a heavier emphasis on the Asian market. Why You Should Attend: VRS 2019 has different industry-themed conferences under one roof. One focuses on the big phenomenons in entertainment and while the other conference focuses on the enterprise applications of phenomena. These events typically have an amazing list of attendees from senior level and executive positions in its annual event. Description: A global event at the intersection of science, and culture. Why You Should Attend: This international summit is a 3D experience for science, tech, art, and business. Now in its 10th year, Stereopsia feature the latest and greatest VR and AR products with keynote speeches from tech innovators behind the creation of many of these amazing inventions. Description: Canada's immersive technology summit. Why You Should Attend: The solutions-focused symposium, VRTO explores all branches of ethics, science, and humanity through immersive technologies. Although they have yet to release their 2019 speaker line up, VRTO does share their past guest lectures on YouTube so you can get a feel for what you can expect if you attend. Description: A 3-day conference that explores the past, present, and future of VR. Why You Should Attend: VR Days Europe has exhibits on VR, AR, and mixed reality. Their activities include expert speakers, breakout sessions, and hands-on workshops. This year they plan to host over 140 guest lecturers from large, international brands so there's definitely something for everyone at this event. Description: A global get-together for smartphone content creators. Why You Should Attend: MojoFest celebrates the smartphone as a professional tool for marketing, media, and (of course) AR. Their main agenda offers tracks on visual storytelling, social media content, and an awards ceremony for those breaking ground in the world of mobile technology. Description: A trade fair for gaming. Why You Should Attend: VR and gaming will always have a symbiotic relationship. At Gamescom 2019, attendees can expect to see over 56 exhibitors from around the world showing off their latest gear, games, and software. Description: An entertainment industry conference that explores and dissects the future of the medium which includes VR. Why You Should Attend: Digital Hollywood puts on quite a few events each year. Having been a staple in the TV/Film industry for over 25 years now, it's no surprise that this conference would be at the forefront of tech innovation in Hollywood. Check out keynote speakers from leading TV networks as well as sessions on the future of VR film and consumer experience. Description: A digital transformation conference. Why You Should Attend: LiveWorx has disruptive tech demos, tech business strategists, and edgy problem-solvers at their transformative event. In addition to AR and VR, the conference will also cover topics like robotics, IoT, and digital engineering. Description: A gathering of leaders and visionaries in global tech. Why You Should Attend: The Digital Transformation Conference brings in digital business leaders to help give insight into the evolving world of AR, VR, and the digital experience as we know it. With the inclusion of detailed case studies, real-world advice, and actionable takeaways, this event is a must-see for anyone interested in accelerating their own digital capabilities. Description: A premier development conference brought to you by an industry titan. Why You Should Attend: Learn about new and imaginative ways to unite the latest technologies with your creative vision. This is a great conference to attend if your goal is to network as Microsoft Build offers many opportunities to bond with your community over new VR, AR, and mixed reality trends. Description: An official VR Society event on all things VR, AR, and Mixed Reality. Why You Should Attend: Filmmakers and creatives are doing amazing things with VR and this event is the perfect way to get a sneak peek on what's to come in the near future. Over 1700 entertainment and production professionals are expected to rub elbows on the Paramount Studio lot for this glamorous and high tech experience. Description: Europe's leading senior level VR and AR industry event. Why You Should Attend: VRX Europe is the first of Amsterdam's many VR-themed events this year but it's definitely towards the top of our wish list. This premiere European event is focused on marketing and business solutions using VR that can be implemented for immediate success in any industry. Description: The business of AR and VR. Why You Should Attend: Although VR World takes place over a single day, this event is jam-packed with unique opportunities. Multiple in-depth tracks paired with more than 100 industry speakers help attendees learn all the practical ways they can create, market, and distribute their digital creations. Description: VR's top research-based event. Why You Should Attend: Since 1993, IEEE VR has been a leading technology conference and international venue for research in and around the world of VR. And, unlike most other conferences on this list, 3D interfaces are heavily featured at this event. Description: An innovative film festival that celebrates the intersection of arts and technology. Why You Should Attend: As you can tell from some of the other events featured on this list, film and VR go together like PB&J. Two of this year's Tribeca Film Festival events center on VR. Check out Virtual Arcade and Cinema360 for cutting edge storytelling in a fully developed VR theater. Description: An immersive VR/AR conference. Why You Should Attend: The Laval Virtual is in celebrating its 21st year as a leading international conference for VR, AR, and Mixed Reality. The main features of this event include an exhibition, conference, and awards ceremony. Description: A media, technology, and entertainment event. Why You Should Attend: The NAB Show's goal is to teach attendees how to effectively create, distribute, and monetize content, including content made using VR, AR, or Mixed Reality. They offer some great resources through their event website like a podcast and a virtual guided tour of the conference itself. As you can see, the VRAR industry is growing and technology is advancing. These events are just the gateway for you to learn more about the VRAR world. With the VRAR industry estimated to be worth $30 billion in 2020 and tech giants investing heavily in this area, 2019 might be the time for you to register for these events to keep up-to-date with the ins and outs of this promising industry. Editors Note: This post was originally published April 13, 2018 and since been updated.